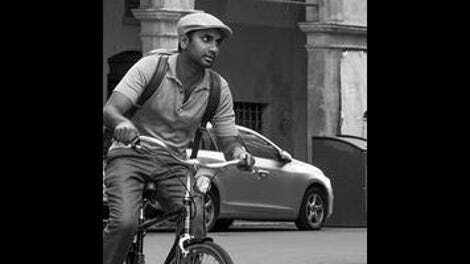 Master Of None’s season two finale sees Dev through personal and professional crises, as his new business venture with Chef Jeff and his romantic month with Francesca both come crashing to their ends. At times, it’s a difficult episode to watch. But “Buona Notte” touches on the season’s central theme of what it means to have an intense human connection with someone. Dev has that with Francesca, but external factors complicate a situation that Dev naively believes is straightforward and simple. On the other hand, it becomes clear that Dev’s connection with Jeff is built on very little. On the surface, they seem close, and Jeff especially plays up the fact that they’re buds when they’re together in his overly familiar way. But what do Dev and Jeff really know about each other? Until now, Dev didn’t know that Jeff has a history of making women uncomfortable with his sexually inappropriate actions and language, which speaks to how ignorant other men can be in these situations, which are otherwise very apparent to women because we’re unfortunately all too used to it. The Chef Jeff storyline is a tricky one to pull off, but Master Of None succeeds by not making Dev the hero of the story. In fact, Dev’s reaction to learning that his coworker and friend is a serial sexual harasser is to essentially do nothing, which reflects poorly on Dev and yet unfortunately reflects reality. Even though he doesn’t jump to defend his friend, Dev doesn’t really take action either. And he’s more concerned with distancing himself from Jeff than with actually calling him out for his behavior. Dev believes Benjamin (returning guest star H. Jon Benjamin) when he tells him Jeff’s a creep. He believes him enough to connect the dots with Lisa, the makeup artist who suddenly quit the show with no explanation. He goes to Lisa, who confirms Jeff’s inappropriate behavior, and he believes her right away, too. Still, Dev doesn’t really do anything with this knowledge. Instead, Lisa comes forward on her own, and sure enough, Jeff immediately tries to discredit her and the other women who come forward by saying they’re just looking for attention and money, a common delusion of famous male abusers who refuse to take responsibility for their actions and instead point their fingers at the victims. Lisa controls her narrative, not Dev. The scandal breaks just before Dev and Jeff are set to appear on Raven Live, a daytime talk show hosted by Raven-Symone. Things get a little out of control when Raven confronts Jeff on live TV. He storms out, leaving Dev to try to talk his way out of the situation. Dev lies, saying this is the first he has heard of the accusations, which seems like an innocent enough lie and yet speaks to how even the “good guys” collude with sexual harassment by refusing to call out their friends. Dev is merely concerned with making sure he isn’t associated with Jeff’s behaviors and making sure people don’t think of him as a sexual harasser than he is with making sure people know Jeff is one. When talking with Lisa, he encouraged her to tell someone, and yet when she does, he isn’t actually there to support her. Thankfully, the storyline doesn’t center Dev’s confusion over what he should do after finding out about Jeff. Again, it’s not really his story. His actions, or lack thereof, are very believable. It’s unlikely that in the real world a person like Dev, who’s just at the beginning of his career, would do anything major to stand up to Jeff after finding out about his pattern of harassment. And I’m glad Master Of None doesn’t pretend otherwise. The fall out on Raven Live manages to be funny without belittling the situation, and Jeff’s blow up comes off as disturbingly real. Bobby Cannavale has been giving a supercharged performance all season, and we see a toxic side of the character’s heightened energy here, which Cannavale nails. Best Food Friends seemed too good to be true, and Dev’s emotional fling with Francesca similarly loses its sheen over the course of the episode. They start in the same dreamy rom-com space that has lit up their month in New York together. Thrown in beautiful red and blue lights, they slow dance in Dev’s kitchen, pretending to have just met as single people. They kiss through a glass door, and then Dev punctures the fantasy by actually kissing her, which sends Francesca out the door. For Dev, it’s all a fantasy. He can’t separate the fantasy from the reality, which is why he thinks the answer is simple. But as Arnold rightfully points out, Francesca leaving Pino and her life behind in Italy is no simple demand, even if it’s what she wants, too. “Your relationship wasn’t going to be a magical fantasy,” he says. “It was going to be a shitshow.” For Dev though, it’s all worth it for that genuine human connection. But it isn’t entirely his call to make, and “Buona Notte” does a much better job of giving Francesca emotional agency within the storyline than last episode does. We hear her internal struggle as she tries to articulate it to Dev, and we see her react viscerally to Dev’s unfair accusations during their last fraught conversation with one another. That scene is unsettling and real, and Aziz Ansari turns in some of his best acting of the season. Just like in the Jeff storyline, Dev doesn’t come off looking great when he gets frustrated with Francesca and accuses her of using him, which totally ignores her feelings in the situation. Alan Yang and Ansari’s script makes both Dev and Francesca sympathetic characters but doesn’t idealize either in the situation. Their messy feelings collide in this very messy situation they’ve gotten themselves into, and while Dev oversimplifies their situation in his head, Master Of None doesn’t. The ending looks romantic on the surface. Pino asks Francesca if she’s ready, and we cut to black, fading in on Dev’s picturesque kitchen, snow falling outside. Dev and Francesca are in bed together. She went to him. It’s a rom-com ending, right? Except the unsure look on both characters’ faces suggest deeper uncertainty and no real sense of resolution. And Arnold’s words color the ending, too. Despite the snowfall and the soft lighting and the picture-perfect scene, this isn’t a magical fantasy. Thanks for reading another season of my Master Of None coverage. Was season two worth the wait? I think so! What did you think of the season as a whole? Did anyone else notice Francesca wasn’t wearing her ring anymore in that final scene? Do we think a chunk of time has passed or did she go to Dev right after Pino asked if she was ready? The temporality of this season has been a little ambiguous, so I think either is possible. Danielle Brooks returns as Dev’s agent, and she’s great as always! Cast Danielle Brooks in all the television shows, Hollywood! Arnold is a very good friend. His advice to Dev is one of the most coherent parts of the finale.